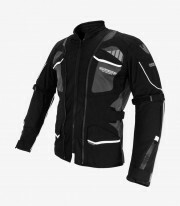 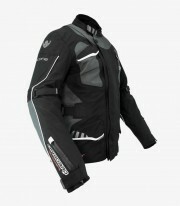 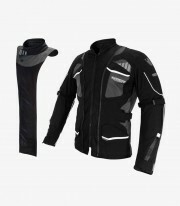 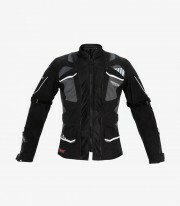 The Stone 4 Seasons unisex On Board Winter and summer jacket is now available in acmotos in Black / Grey / White color. 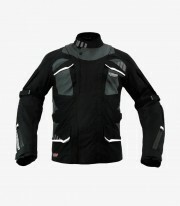 It's designed with a uniquely manufactured NY-TEX fabric, made with high quality Nylon. It is very resistant to abrasion, light and has a nice touch. 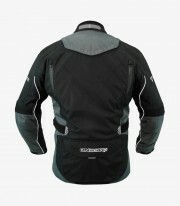 Includes The membrane DRY-B is waterproof and breathable and fulfills the function of a windbreaker. It has included technology that is to say that it includes a removable and waterproofed frontal collar thanks to the DRY-B membrane and its waterproof zippers. When taking it off the jacket is more open and ventilated so that it can be used either in summer or winter. It contains back, shoulders and elbows protection in compliance with the homologation CE-EN1621 that can be removed. Exclusive system V360 formed by reflective areas in material 3M that reflects the lights from cars and motorbikes that surround you. 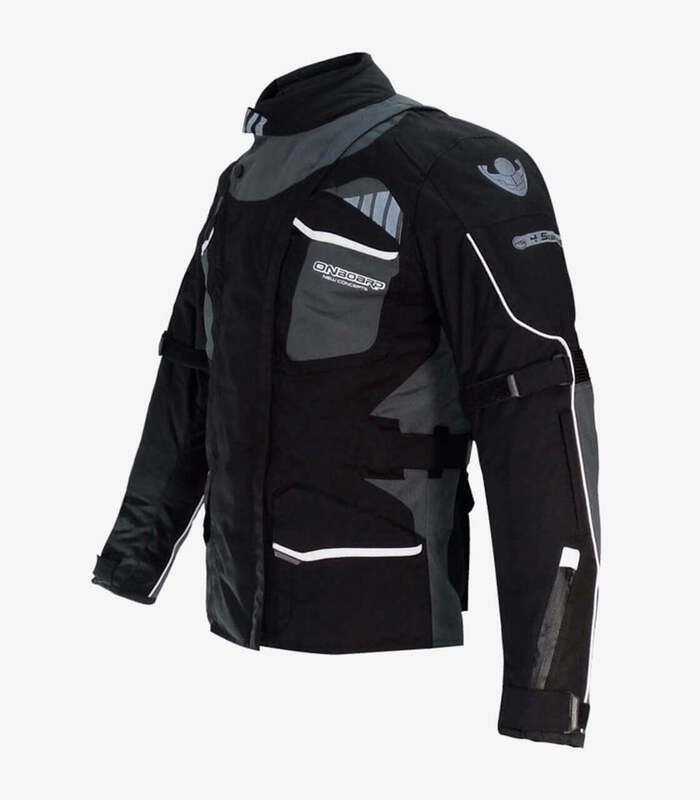 The inside of the neck is made with a soft fabric that avoids irritations very comfortable to the touch.